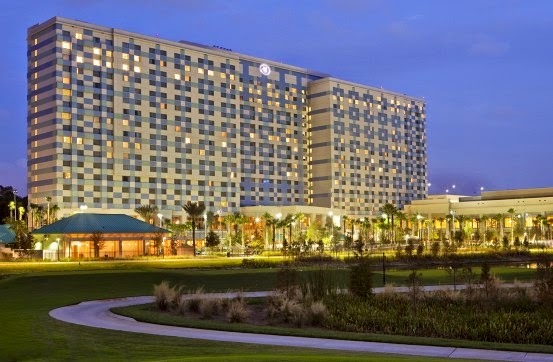 We had the opportunity to stay at Hilton Bonnet Creek once again this weekend during the Disney Princess Half Marathon. This marks my 4th stay in Bonnet Creek since December! If you aren't familiar with the property, Bonnet Creek is located inside the Disney property, right down the street from Epcot, Hollywood Studios and Downtown Disney. 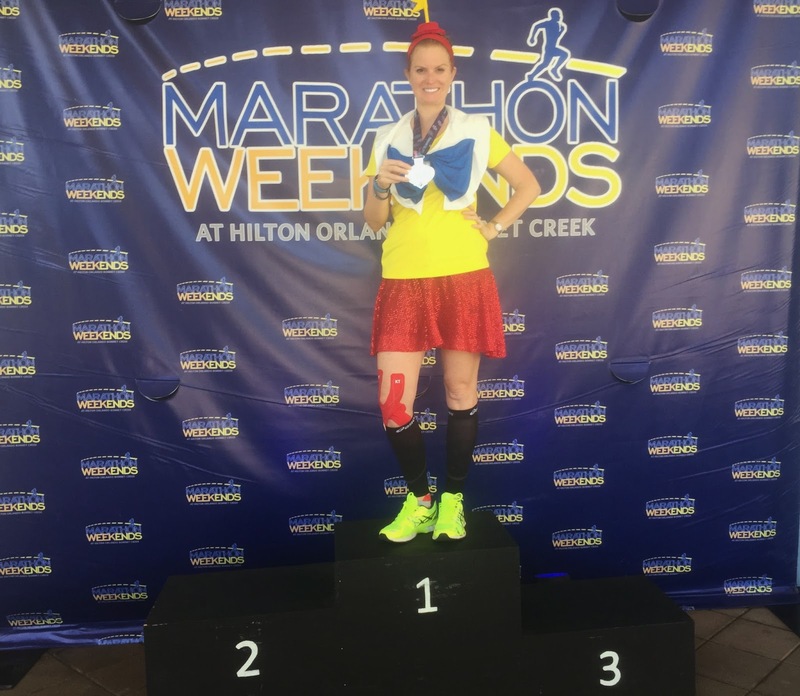 During this stay, I took part of the Hilton Bonnet Creek Marathon Weekends package and I left being spoiled, unsure of how I will be able to run another runDisney race again without staying at this property. My husband had a late arrival to the hotel so I met up with my friend Amanda for a cocktail at the new Myth Bar inside of Hilton Bonnet Creek. This place is a craft cocktail mecca. Drinks with gn powder, caviar stuffed olives and tobacco!? You should check out Amanda's review of all their craft cocktails! For my cocktail of choice, I went with the "Innocence" Gold-flaked Cointreau pearls topped with champagne. The pearls were made using molecular gastronomy and were fun to watch dance around in my drink! 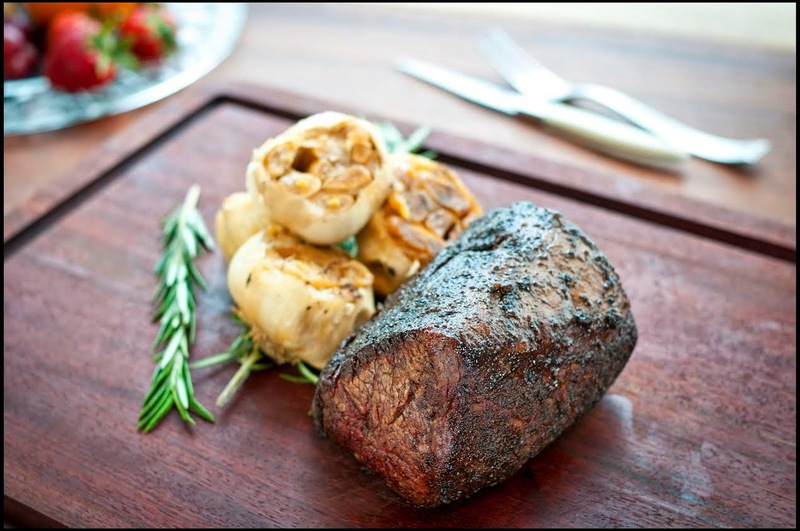 I was able to score a last minute reservation at the acclaimed Bull and Bear Steakhouse located in Hilton's neighboring sister property, Waldorf Bonnet Creek. I was instantly impressed with the atmosphere of the restaurant and their menu. I saw a $28 Ceasar Salad for two on the menu and had to try it out. 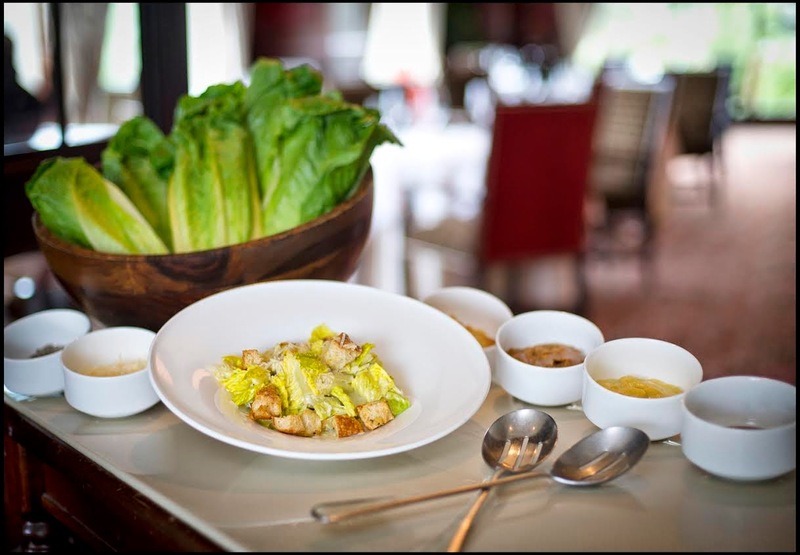 I am probably one of the biggest Ceasar salad snobs you will come across. There has only bee one other that blew my socks off the way this salad did. A Salad chef came to our table and created the dressing in front of us. He used roasted garlic as his base and it was a delicious salad which resulted in two empty plates. For our entree's, we went with the Chateaubriand for two. I really wanted the Tomahawk for two but it was too much food that late at night however, I couldn't have been more pleased with our choice. The Chateaubriand was one of the most delicious perfectly cooked steaks we have ever had. This says a lot coming from a couple who frequently visits some of the nations best steakhouses in Tampa. After we got back to our room, I received a really nice welcome basket and a Marathon Weekends branded bondi band! We headed to bed early since we had a day full at Hollywood Studios the next day. 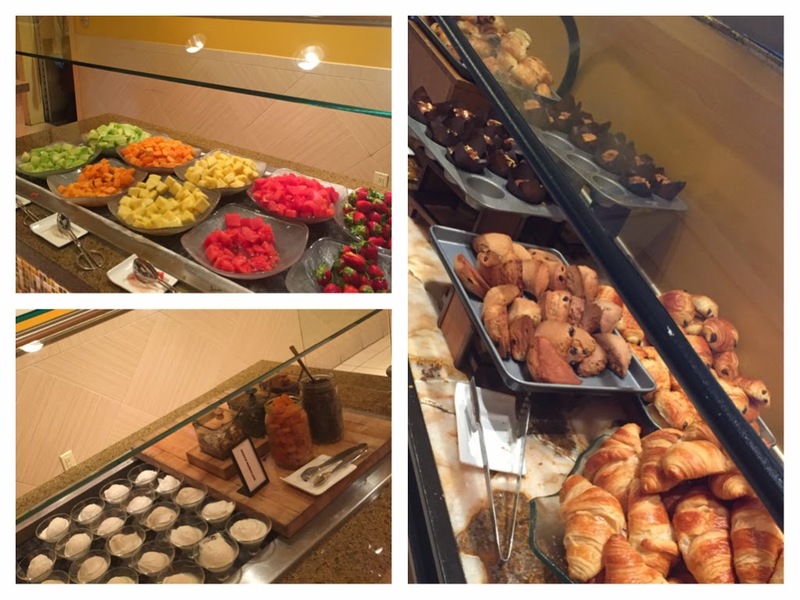 When we woke up on Saturday, we had the breakfast buffet at Hilton's Harvest Bistro. We enjoyed made to order omelets, waffles, pancakes, grits, oatmeal, cereal, bacon, turkey....you name it! My phone died while snapping pics and I only got the ones below. The bottom left photo is a yogurt parfait bar and it was pretty amazing. At day's end, I was exhausted. I don't recall being that tired in a very long time and was hoping for a good nights sleep. Wishful thinking. I fell asleep instantly and about thirty minutes later, I woke up and couldn't fall asleep. 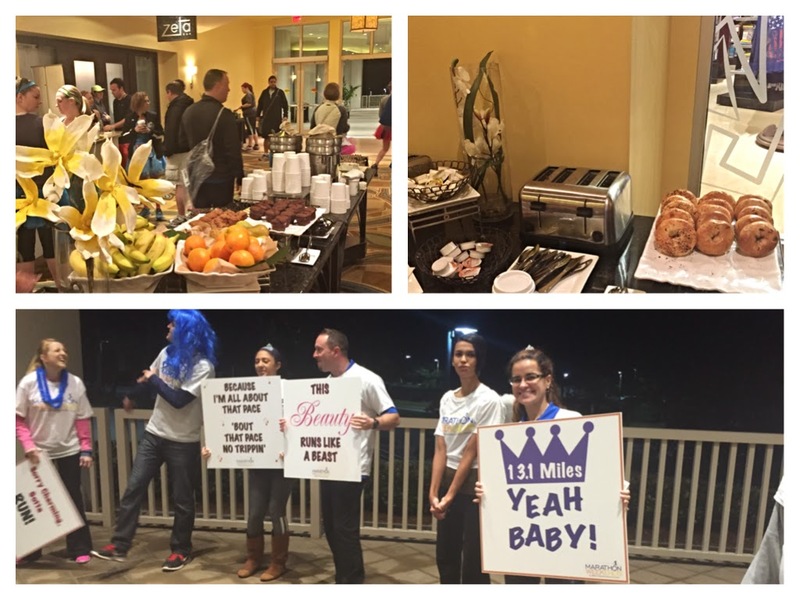 My alarm was set to go off at 2:30am so I could take advantage of Marathon Weekends breakfast and transportation. Although this is much earlier than I am used to waking up, I wasn't stressed about getting to the start line on time. I cannot tell you how many times I have rushed to get to my corral, freaking out I would miss it - just to get an extra hour of sleep. Complimentary snacks and beverages before the races (as seen above)! Encouragement & recognition from our Marathon cheerleaders (as seen above)!